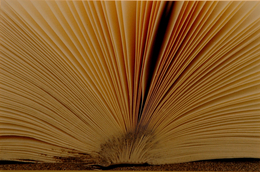 The smell of a book as you turn a soft page, or the excitement of checking the mailbox for snail mail is something many of us will always prefer over clicking a 'Next Page' icon in an e-book or checking an inbox full of emails. 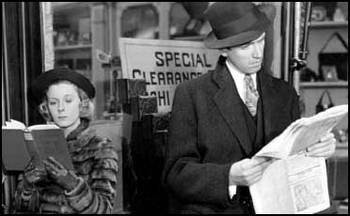 It's why the Jimmy Stewart film "Shop Around the Corner" worked better as a romantic comedy than the Tom Hanks remake "You've Got Mail." Yes, both may contain the same content but content has nothing to do with it. I would rather slam a book with anger or crumble a letter than double click a delete button. This need for physical objects is more than just an act of nostalgia; it's a predilection. I'm expressing all this because I feel the same way about movies. The full model mechanical shark in "Jaws" will always be scarier than the CGI sharks in "Deep Blue Sea." Again, it has nothing to do with nostalgia and I'll explain why in a moment. You see, Bruce (the shark in "Jaws") is an actual large object. Bruce has a body and a jaw full of solid teeth. On the other hand, the sharks in "Deep Blue Sea" are computer graphics from 1999. Today, these sharks are no longer scary. The reason for that being is CGI does not date very well. Now that computer graphics are advancing in a rapid rate, the 1999 sharks look more like brightened catroonish screen misfits. The CGI is simply no longer as fresh as it once was. Yes, Bruce looks more fake but he will always be more real simply because he'll always look the same and actually be there within the physical dimensions of a scene. This concept applies to most movies. James Cameron recently said that if he had the technology available today back in 1997, he would never have built the life-size model of Titanic. This breaks my heart because the physicality of the ship will never feel as real no matter how advanced the technology. You simply cannot create something more realistic than reality itself. It just doesn't happen. It saddens me that the set of "Titanic" may very well be the last of its kind (epic Hollywood set). Building the set rather than digitally creating it is more time consuming which is why CGI is taking over. Yet, time often rewards filmmakers with ideas and a better overall vision. I now realize that time has passed, paragraphs have aligned, and I still didn't mention the film, "Silent Running." I may not have mentioned it in the previous paragraphs but I most definitely discussed it. 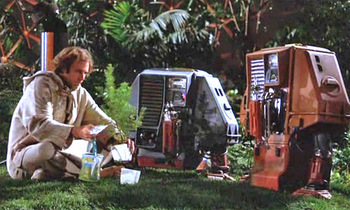 "Silent Running" looks great twenty-eight years after its making simply because of the physicality of every prop and set featured in the film. Everything from giant interiors to miniatures, to large models, to suits and props looks and feels real. After doing some research, I learned that the main freighter in the film aka the Valley Forge Space Freighter was 28 feet long (8 meters) and took six months to build from close to 800 aircraft and tank kits. The three little drones (Huey, Dewey, and Louie) also known as the three cutest robots in film history (up till Wall-E came along) are actually suits worn by double-amputees. 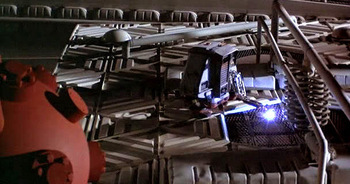 The little CGI used back in those days was to enhance scenes not replace them. Duncan Jones recently revisited this vintage sci-fi world with his directional debut, "Moon." In a year with CGI infested movies ("Avatar," "District 9," "Star Trek," "Transformers: Revenge of the Fallen"), "Moon," the film with the least effects and most miniatures was without doubt the most impressive. 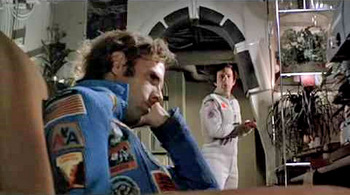 Duncan Jones always mentions "Silent Running" when reporters ask him about the films that influenced him. I can see why; both stories are quite similar. Both involve a man dealing with loneliness thousands of miles away from Earth. 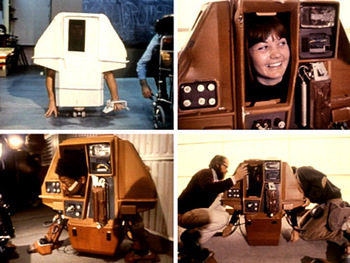 "Silent Running" has an environmentalist twist though, a theme that is more relevant today than it was back in 1972. Douglas Trumbull, the special-effects supervisor of "2001: A Space Odyssey," directed the film revolving around a future in which all plant life on Earth has been made extinct. The only remaining plant life is preserved in a fleet of space freighters that carry forests in domes.